Well done Goldfinch for an terrific last week before half term! On Thursday, we had NSPCC Number Day and PSHE day. 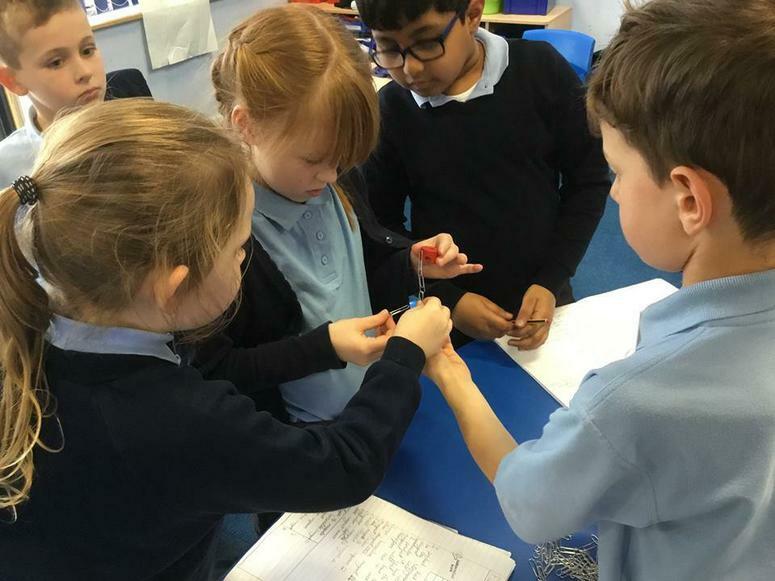 The children did mathematical activities such as 'Who Wants to be a Millionaire Mathematician' and an activity where the children measured the lengths and widths of their hands and feet. Their challenge was to work out the lengths of their hands/feet and whether they doubled or halved in size. 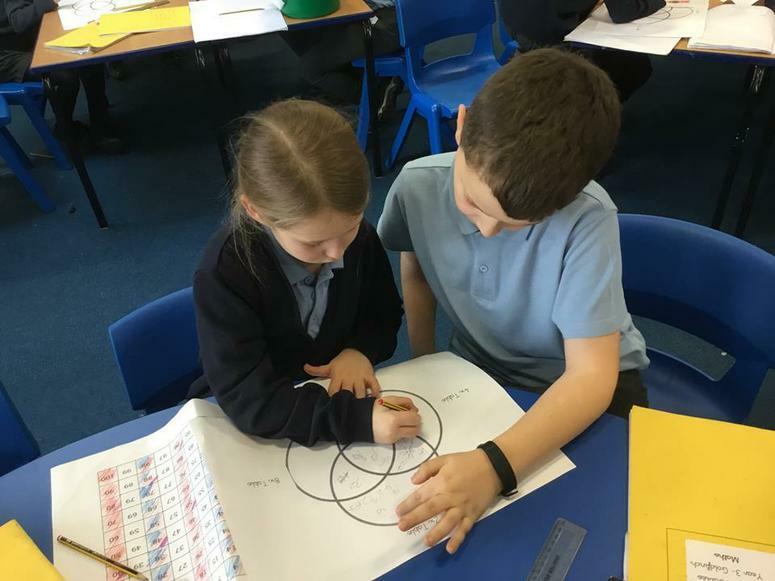 For PSHE, the children looked at friendships and what it means to be a good friend. They had the opportunity to work with the Year 5s for this activity. In English this week the children have been looking at writing a play script and a discussion text considering whether Beowulf should risk his life to defeat Grendel, the large and scary monster. 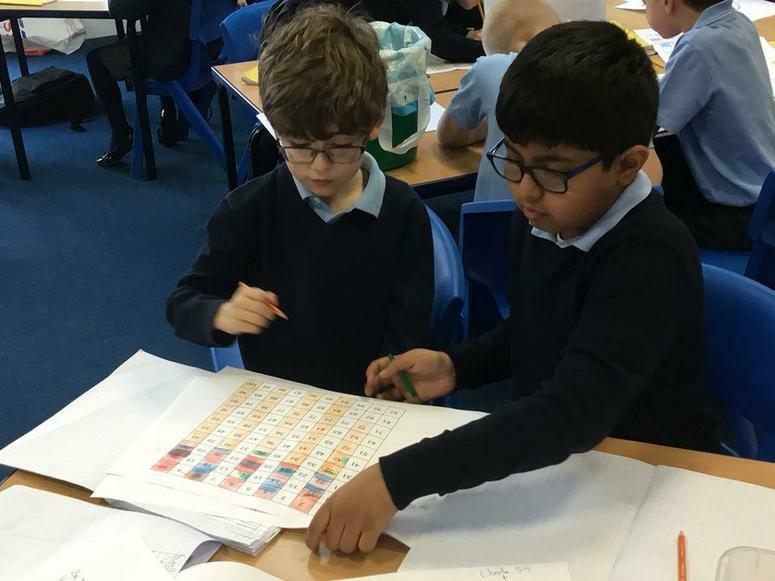 In Maths, the children have been learning about the distributive law and why this is a use technique for multiplication questions. 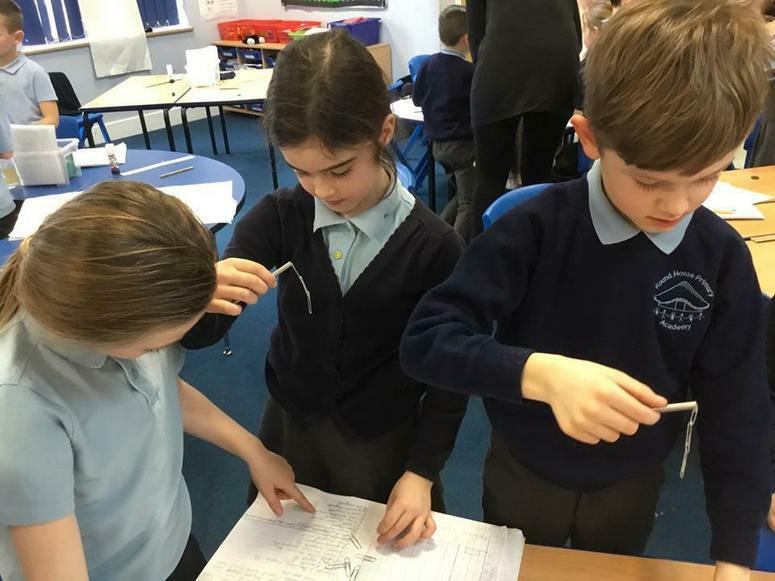 In Science, the children have finished drawing their bar graphs from last week's magnetic force experiment and have analysed and discussed their results. Well done Goldfinch for another excellent week of learning - I hope you have a very happy half term! In English this week, the children have written a persuasive letter to Grendel, the monster who attacked Heorot in our book ‘Beowulf’. They were writing the letter as the King, persuading Grendel to never come back again. They have also done a character description of Beowulf. They have immersed themselves in the character of Beowulf, considering his thoughts and feelings on fighting Grendel. In Maths, we have continued to look at multiplication and division. We have been looking at doubling and halving and finding different strategies to make it easier for ourselves when we double and halve bigger numbers. 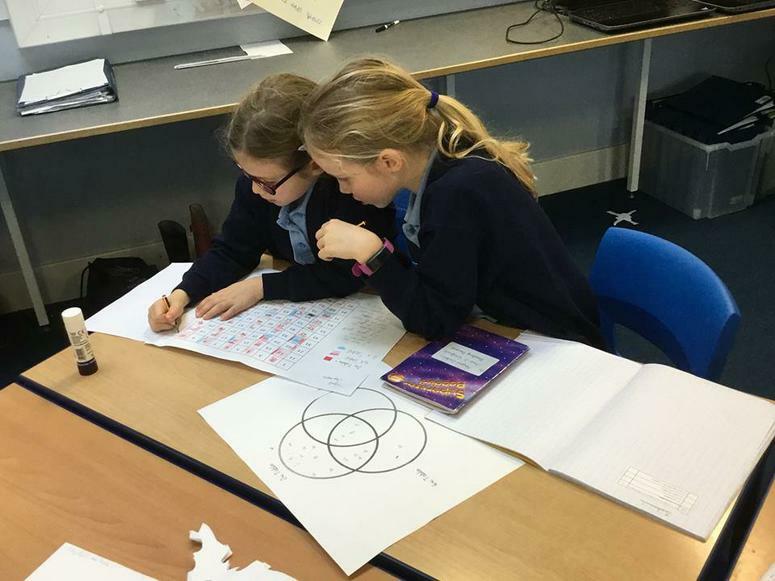 The children have also been looking at patterns and relationships between the 2x, 4x and 8x tables. In Science, we have continued with our new topic, forces and magnets. We did an experiment using magnets and paperclips to investigate which magnet has the strongest force.They have started drawing their bar charts for their results which will be continued and analysed next week. 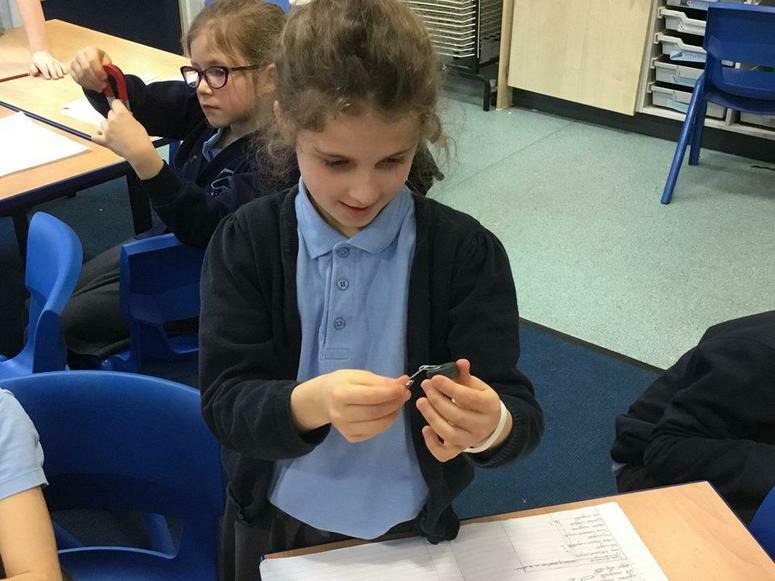 They have also been learning about the North and South poles of magnets and understanding how this causes magnets to attract and repel. 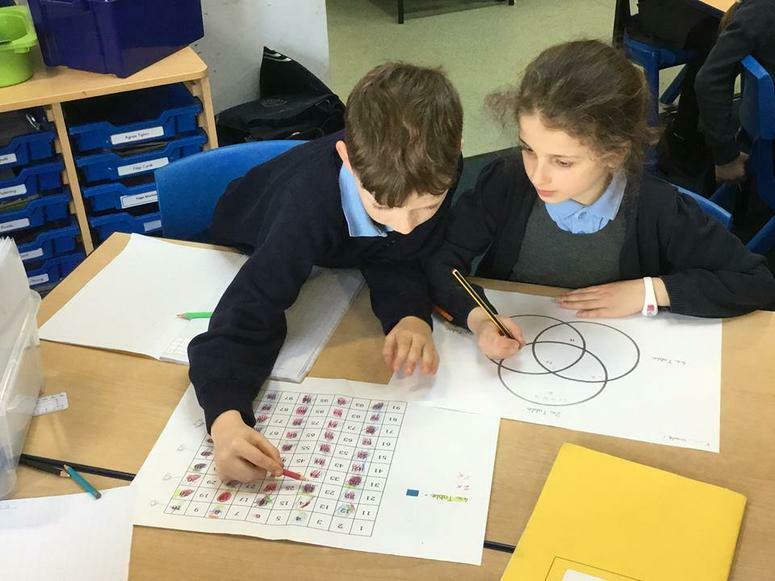 On Thursday, Goldfinch had a visitor to teach them for the morning, an artist called Jack Cornell, who taught Goldfinch how to use the art computer programme Sketch Up. The children learned how to make 2D and 3D shapes on this software and use these skills to create an Egyptian city with pyramids. Goldfinch had an excellent morning and were fully immersed in their activity. Well done Goldfinch for another excellent week of learning at school! In English, the children have continued to read ‘Beowulf’. We have reached chapter 2 where the horrible monster, Grendel has destroyed the great castle, Heorot. The children have been writing a diary entry, as a warrior, about their experiences of the attack. Chapter 3 is called ‘A Hero Comes’. They have created a story board, predicting what is going to happen when this hero arrives. In Maths, we have continued to look at multiplication and division. We have been using our knowledge of doubling and halving to notice patterns and relationships between the 2, 4, and 8 times table. 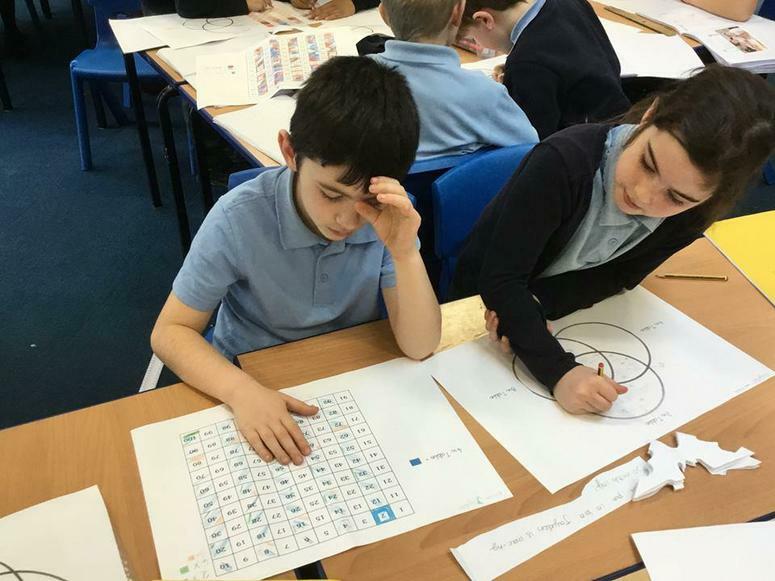 The children have tried to use a variety of mathematical vocabulary in their work and this has worked extremely well. In Science, we have continued with our new topic, forces and magnets. We have been looking at push and pull forces and linked it to our ICE Zone topic, Ancient Egypt and how Egyptians used push and pull forces whilst building the pyramids. 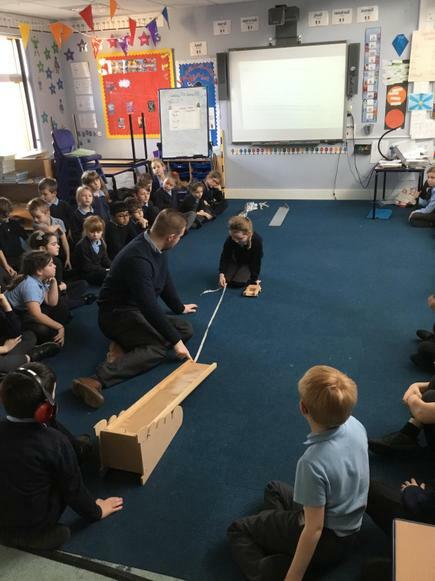 In Science today we did a class experiment to see how different surfaces can affect friction and the stopping distance of a toy car. The children also learnt how gravity resulted in the car moving down the ramp. They have learnt how to write a hypothesis, undertake the investigation and write up their results and findings. Well done Year 3 for a great week of learning at school! In year 3, we have started to read our new class book: Beowulf. The children have been writing a prediction on what they think the story will be about, a character description of Beowulf and a setting description. In Maths, we have started to look at multiplication and division and the relationship between them. 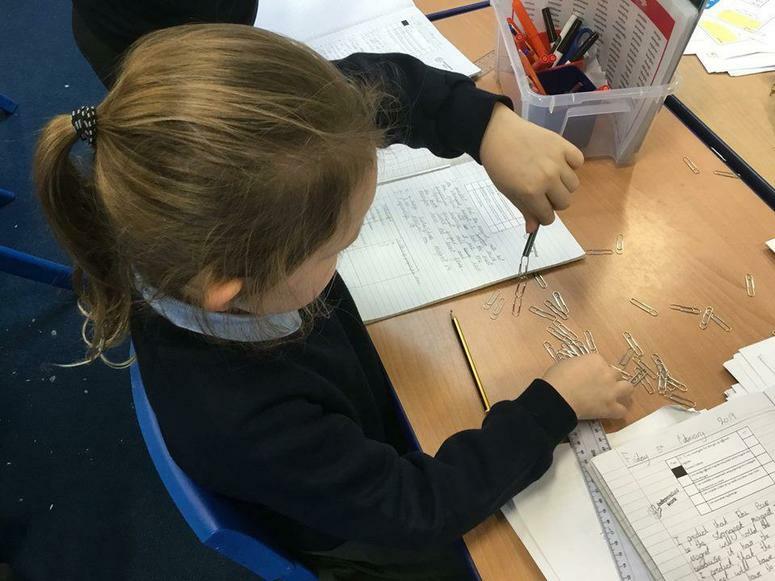 In Science, we have started to learn about our new topic Forces and Magnets. So far we have had a class discussion about our new topic, what we know and what we would like to find out. We have also started to learn about what push and pull forces are. I have been very impressed with all that Year 3 have been able to tell me about Ancient Egypt so far. Ancient Egypt is our new Ice Zone topic for this Spring term. We are looking forward to all the inspiring activities that Year 3/4 will be doing in the Ice Zone this term to help them discover and learn more about this fascinating topic. 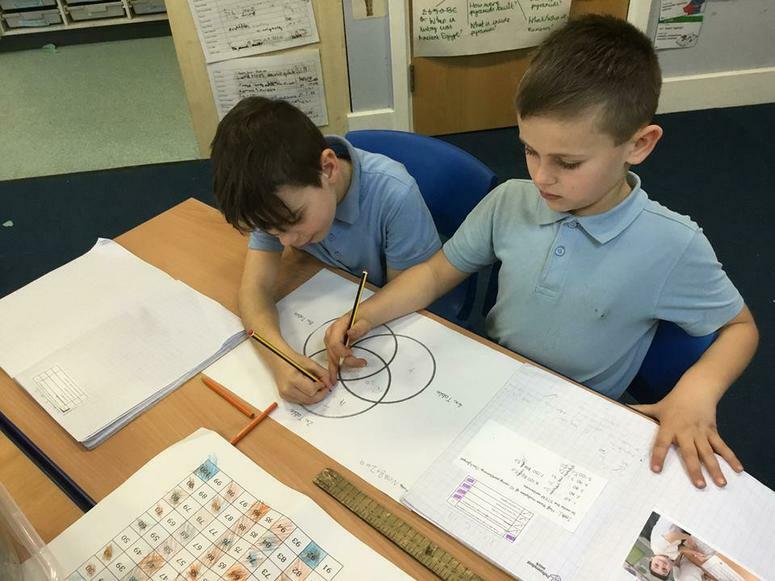 In Maths, year 3 have been continuing to look at addition and subtraction. We have been looking closely at reasoning and giving reasons why we put an answer, as well as showing our working out. We have linked numbers to real life and adding context to our number problems so children in year 3 have a sense of how numbers can be used. In English, we have continued to read ‘The Pebble in my Pocket’. 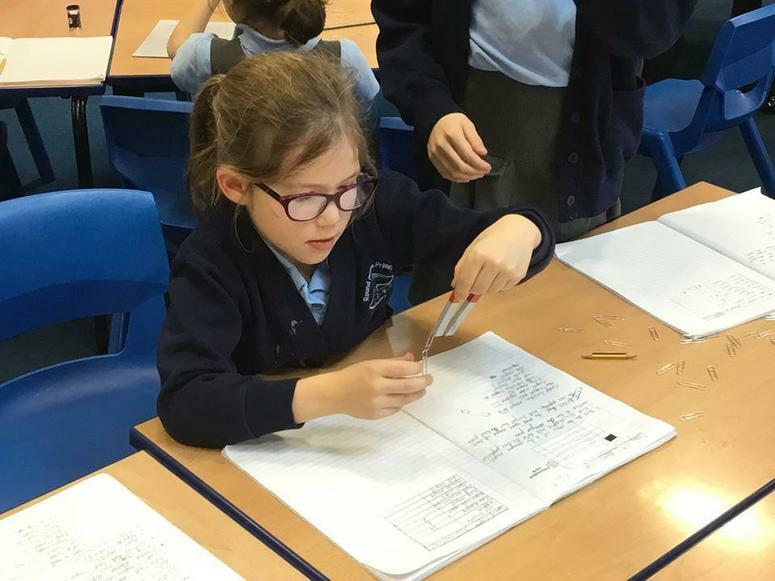 We have written a diary entry in the role of a rodent who has been hiding from some terrifying dinosaurs as well as writing a recount of a fish and its journey through the river. In Science, we have continued to learn about rocks and fossils. We looked closely at the different types of rocks and we wrote a non – chronological report about these rocks. There have been some excellent bits of work that has been produced by the children. In Maths, we have been looking at comparing and ordering numbers up to 1000. We have looked closely at our reasoning and writing explanations for why we have chosen a particular answer. The children have responded really well to this and it has deepened their understanding. In English, we have continued to read ‘The Pebble in my Pocket’. We have gone to write a variety of different text types such as a recount, a diary entry as well as looking at direct speech and how we write a conversation between two people. 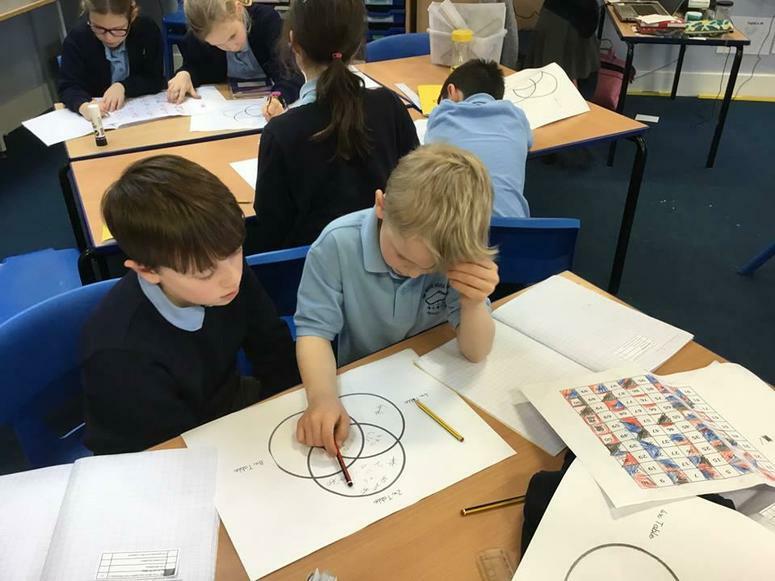 In Science, we have started our new topic which is all about rocks and fossils. We looked at what we already knew about this topic, what we would like to find out and how we are going to find out our new information. 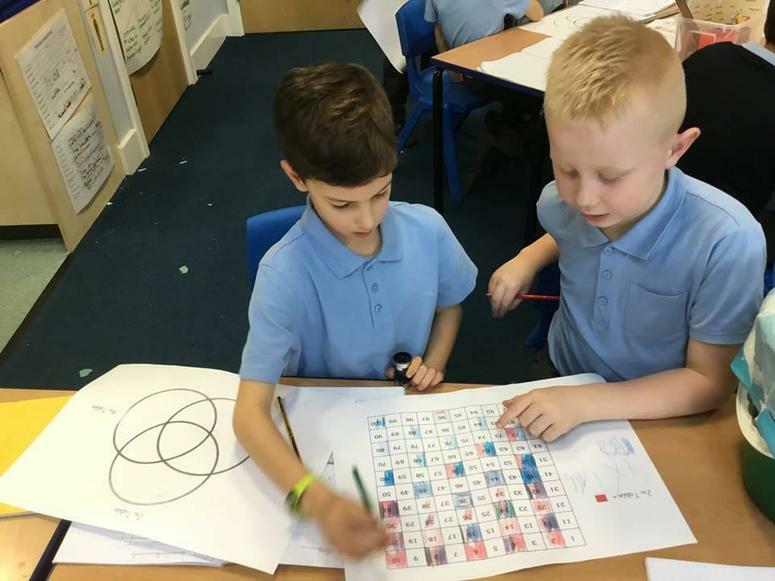 In Maths, year 3 have been looking at how 3 digit numbers can be represented using numbers, words and pictorial representation. We have also been looking we connect numbers to everyday life and putting it into context. Following this, we will be looking at addition and subtraction, using our place value knowledge to help us. In English, we have introduced our new book, ‘The Pebble in my Pocket’. We looked closely at the front cover and have made a prediction about what the book will be about. As well as this, we have been writing a set of instructions on how to make a clay Tudor house. 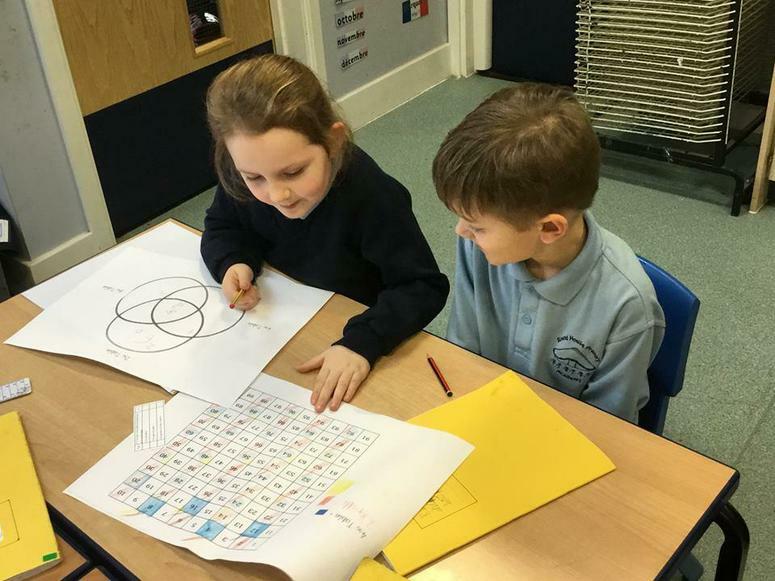 In Science, we have introduced our new topic, ‘Rocks and fossils.’ We asked the children what they already know about the topic and what they would like to find out. In English, the children have been introduced to their new book 'Into the Forest'. We have been making predictions and inferences about what may happen in the story. Using inspiration from the story they have made a story board, written a narrative and a persuasive letter so far. In Maths, we have been learning about place value of numbers up to 3 digits, roman numerals, mental addition and columnar addition. We will be moving on to mental subtraction and columnar subtraction next week. 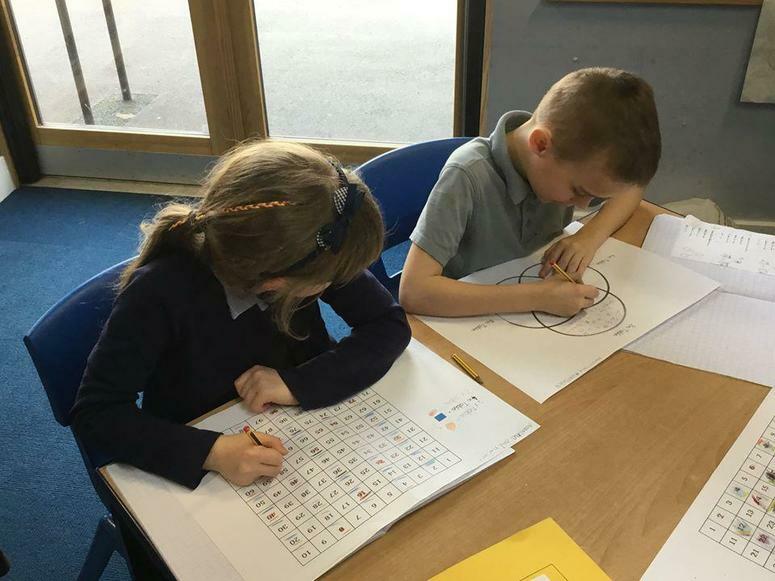 We have been recapping our times tables from Year 2 and have started to introduce the 8 times table. In Science, our topic is the human body. We have been looking at what makes a healthy balanced diet. The children have learnt the different food groups and nutrients. The children are now going to start learning about the human body and looking at the different types of skeletons. Goldfinch enjoyed raising money for Children in Need 2018!